With a revenue increase of 18% to R1.2bn within the first six months of the financial year, Curro is set to invest in more campuses. The company said it planned to invest R400m in six new campuses at Curro Vanderbijlpark and Edenvale, Curro Academies at Boksburg, Soweto and Johannesburg, as well as a Curro Castle at Burgundy Estate, Cape Town. 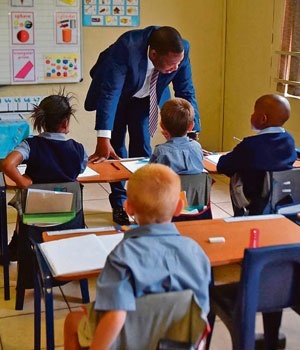 The private school group, which dates back to 1998, already has 50 000 learners in 57 campuses across Southern Africa including nurseries, primary schools and high schools. The number of pupils increased by 10% from 45 890 to 50 691, resulting in the increase in revenue. In a statement, Curro said headline earnings from continuing operations increased by 22% during the reporting period, from R113m to R138m. Headline earnings per share from continuing operations also increased by 22%, from 27.6 cents to 33.6 cents. Earnings before interest, taxes, depreciation, and amortisation (Ebitda) was up 31%, from R255m to R335m. Ultimately, Curro said, its vision is "to make independent school education accessible to more learners throughout southern Africa". Curro already has a controlling stake in Botswana’s BA Isago University, which boasts a student population of more than 4 000. Curro [JSE:COH] shares were trading at R31.45 by Tuesday's close, up 0.70%.